Create your own custom outdoor oasis with high quality prefabricated structures and furniture by Bosman Home Front. 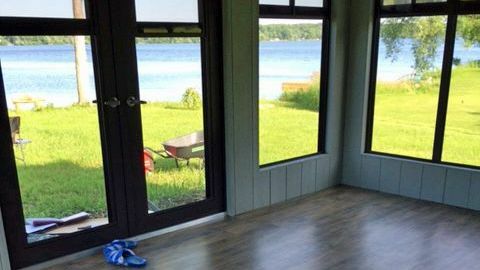 We carry a full range of prefabricated structures with customizable features to help you create the yard of your dreams. A full complement of comfortable furniture for dining, sitting, conversation in different heights, styles and colours. 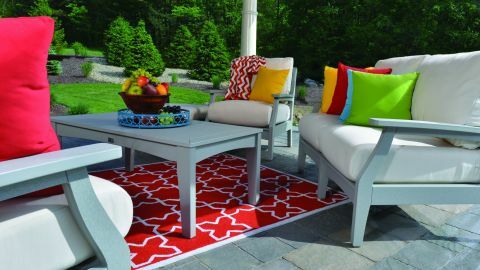 Transform your outdoor living with furniture that is built for LIFE. 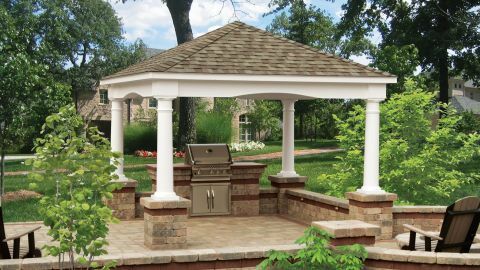 If you would like to spend more time enjoying the great outdoors in your own backyard, or create a designated area for entertaining friends and family, one of our outdoor living structures can help you create a more enjoyable space. 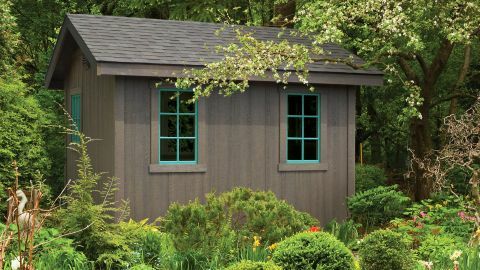 From traditional storage sheds to structures that help you to enjoy working in the garden, on cars, motorcycles, playing pool or watching movies outside. 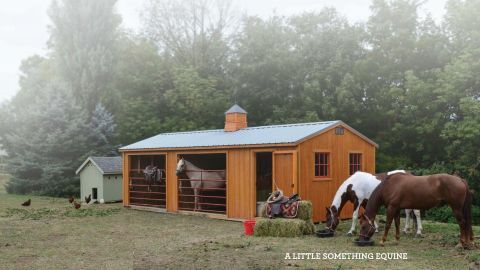 Our Outdoor Storage structures are fitted out to make work, play or rest easier and more fun. 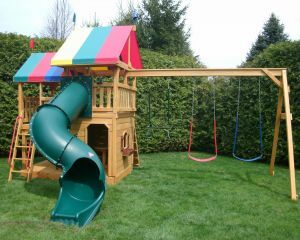 Check out our wide selection of outdoor play structures with fun castles, ships, and play houses. 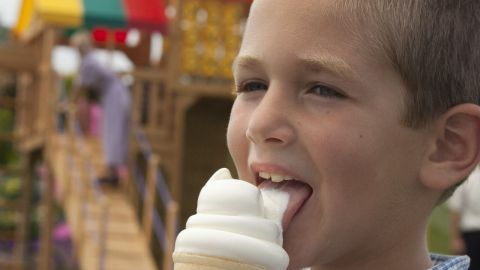 We offer a variety of Play Sets to meet every budget and outdoor play set dream. In Wood and NEW for 2017 low maintenance Poly Play Sets. 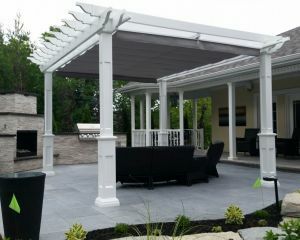 Outfit your outdoor living structure to serve your needs through the Bosman outdoor living challenge. Create your structure by combining our many features and options into what will serve you best and tell us why. Everyone needs a nice home including our pets; whether they be horses, chickens, rabbits or dogs. We offer a wide variety of sizes and options. 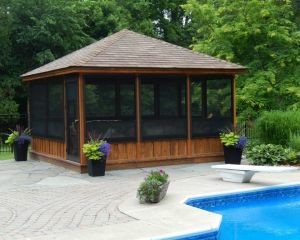 "We are very happy with the sunroom and are very impressed with how well it went together!" "My experience with Bosman was nothing but amazing. Phillip handled my inquiry from the start. Phillip was professional and very accommodating with my custom request. The installation team was wonderful. John was efficient and detailed in his work. Thank you to everyone at Bosman and their crew it is a breath of fresh air to deal with a company as such. I would recommend their product and services to anyone!" 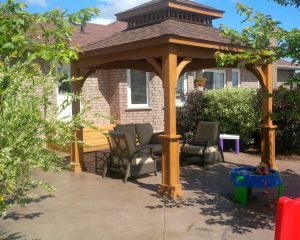 "My husband and I were very pleased with your installers. They did a terrific job, were pleasant and had to contend with delays because of the rain yesterday. 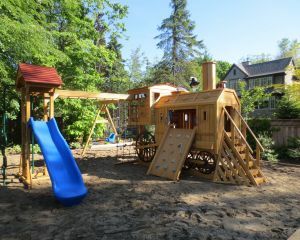 Our granddaughters were ecstatic when they arrived home from school and saw the wonderful play set in their backyard. Their parents were very impressed with the quality of the equipment as well. Thanks again for the terrific service and we look forward to hearing from you." "We are loving the pavilion....here is a pic!" "The installation went smoothly. The workers were very polite and professional. They did a fabulous job. The play set looks beautiful. Can't wait for my children to play in it. The whole family should be coming home this Saturday." With a retractable rain and UV proof roof canopy, sleek high grade aluminum frame, this 10'x20' Pod also offers "build-as-you-go" adaptability to add on more pods to customize the square footage & configuration you need.